The biggest advantage of Quasar’s Q-Cloud service is working with you to solve your network problems and to seamlessly migrate your network into the cloud. Simply switching to a cloud solution without fixing existing network problems or effectively migrating your applications and data can actually make problems worse and lead to disappointing results. Without effective problem resolution, moving to the cloud effectively replicates and exasperates your current network issues. Quasar helps you resolve 3rd Party software issues. No more “blame storming” or “finger pointing” between you, service providers and software vendors. 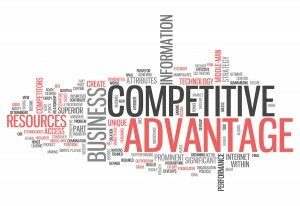 We want your network to perform so you can concentrate on your business rather than mediating disputes. Quasar’s trained, certified and experienced staff follows a proven migration template. Quasar also works with you to solve existing network problems such as removal of DNS conflicts, Active Directory, software and application conversion, management, migration execution, network peering, storage allocation, software updates, intrusion detection and resolution, virus and spam removal. We help you establish security protocols, develop a business continuity solution, and have 24/7 support available to solve your problem. The facility and support center, the Quasar Cloud and your data are all located in Texas! Quasar has developed an internal cost/benefit analysis program that synthesizes customer budget data, procurement contracts, profit/loss statement and/or general ledger information to identify an organization’s IT Capital Cost Expenditures (CAPEX) and Operational Cost Expenditures (OPEX). The output is a cost graph, like that shown below. 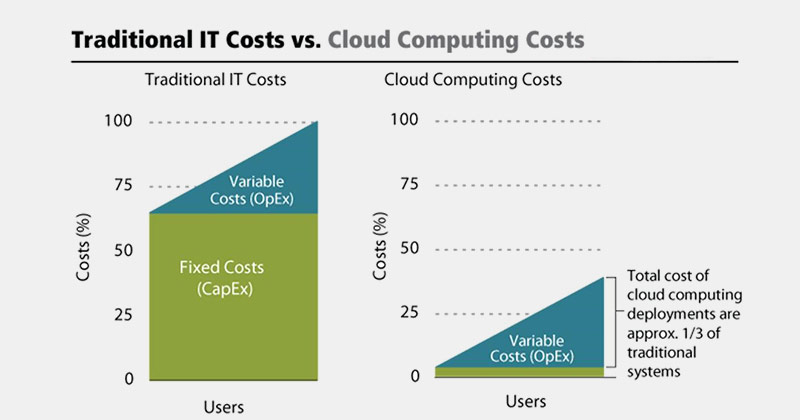 Depending on the organization, the cost/benefit analysis of comparing cloud to traditional IT costs yields the following: typical CAPEX cost reduction is nearly 50% and the OPEX cost reduction over 25% with an over IT cost reduction of nearly 66%. The advantages or benefit of the cloud over traditional IT is better performance, scalability, reliability, security, and 24/7/365 support.